Both of those are stunning! Can’t wait for my own to ship out, refreshing my email every hour for the shipping notice! Who’s going to post the first monolith pic? I’m on the east coast,so probably not me. The monoliths, along with black wrinkle and enigma gray (the powder colors that were added subsequent to the group buy) aren’t finished yet. I’ll send updates to those folks separately, but don’t worry, I’m working hard on getting them ready ASAP. Out of curiosity how many Monolivias did you end up selling? 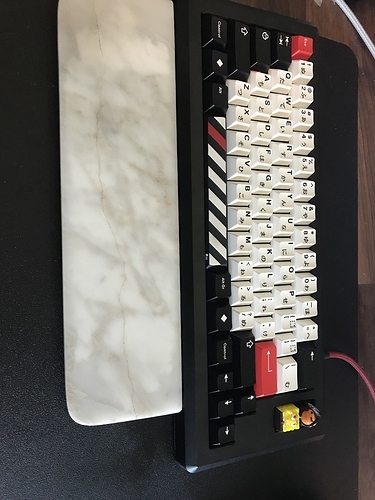 How’s the typing feel compared to stock case? There is definitely a difference to the stock case, the Heavy 6 not surprisingly feels more ‘solid’ than the plastic case. I prefer a slightly more angled typing experience so after those photos were taken, added some 10mm bumpers I had to the Aperture case and it is perfect for me. With the retro case I need to do a little more work on the MX conversion. 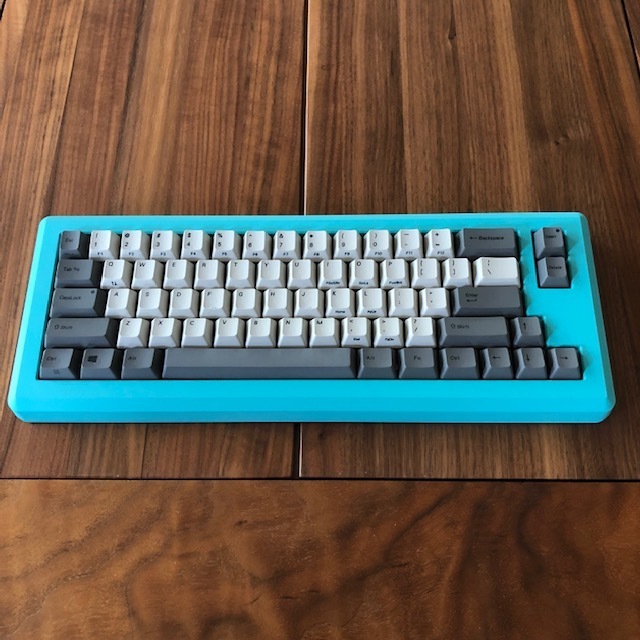 I have some binding on the right shift due to holes that need to be drilled in the housing for the stabilizers shafts on the MX keycaps, and need to adjust the space bar slightly, so reserving opinions on that one, though very happy with how well the color of the keycaps goes with the case so will persist in making it work. How would you describe the sound? Any chase you could post a sound clip? Beautiful work Mr Norbauer. I’m even more hyped about this than my Norbaforce. For anyone still looking to get a Heavy-6, by the way, I have a mix of in-stock shipping options available now, along with a couple of finishes (Royal Wrinkle and Enigma Gray) that will be shipping in a few weeks. Quantities and available finishes are quite limited, but just in case anyone missed out and wanted to get one while the getting is still good. 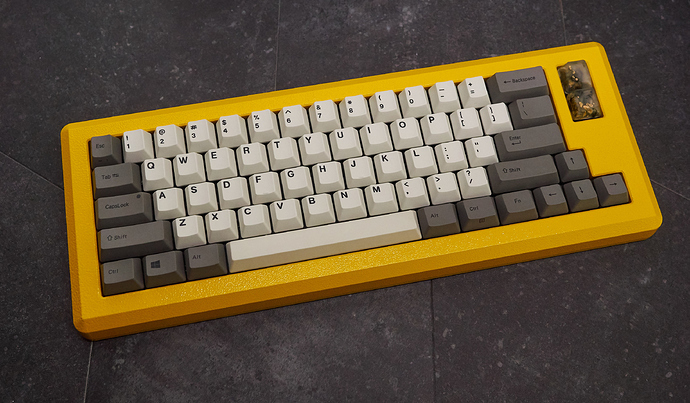 Due to limited FC660C availability, I don’t plan on running this design again. Norbauer, you’ve done awesome work! Thanks! Where did you get the caps!? They’re MX-compatible caps so I’m using Topre-to-MX sliders, and that’s mostly fine but that’s why the spacebar doesn’t match. 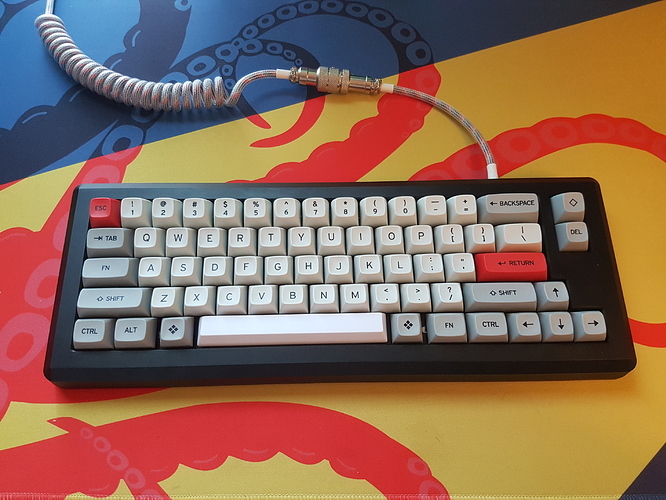 I’m still struggling to find a way to get one of my /dev/tty spacebars to fit but none of the solutions I’ve found have worked thus far. Sooner or later I’ll crack it! Oh neat. Which sliders are you using? Any noise/smoothness issues? I also tried these spacebar stabilizers but they’re just so delicate and as they are when they arrive they’re extremely rough and scratchy. I managed to break the set I ordered when I took them off to sand the rough edges down. This is mostly my own fault. I didn’t understand just how fragile they are. I’m using kbdfans sliders. They’re a little wobblier than the stock Leopold sliders but it’s not really noticeable during day-to-day use. They sound a bit more clattery due to the looser fit but I don’t mind. Makes them sound a bit like IBM buckling springs. I use a thicker lube on my sliders so smoothness isn’t really an issue.